Paul Hahn will be preaching at Southwood Sunday, September 30. 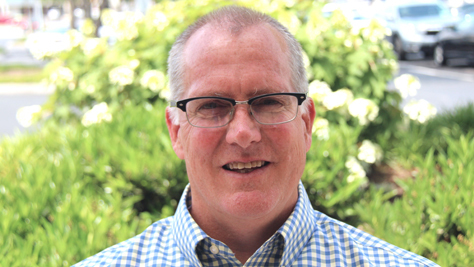 Paul, a native of Lakeland, FL, is two years into his role as Coordinator of Mission to North America, the PCA’s agency giving leadership and direction to church planting, church renewal and missional partnerships in the United States and Canada. Paul has been married to his amazing wife, Fran, for 32 years! The Hahns live in Athens, GA, and have four grown children, two sons-in-law, and one beautiful new baby granddaughter, with another due to arrive in September! What is one of the biggest challenges facing MNA? The biggest challenge facing Mission to North America (MNA), really the PCA as a whole, is the moment in which we find ourselves. Think of a football game in which you possess the ball way down on your own end of the field, maybe like inside your 10 yard-line. You have to move the ball a long way to score. Here are a few stats to support this idea: 4,000 new churches are added each year in combined church planting efforts of all denominational groups in the United States. Yet, 3,700 churches close each year, leaving us with an annual net gain of only 300 churches per year. We need to see a net gain of 2,000 – 3,000 churches per year, or 7-10 times the current number, merely to keep up with population growth. Of our churches which do exist, 80% of churches in the U.S. are in decline or have plateaued. Though spirituality is on the increase, spiritual seeking is not leading people to the doors of the church. Focusing on the PCA, according to a recent study, we are statistically the oldest denominational group in North America, based on the mean age of our adult members. Although this study does not take into account members under 18 years of age, our own data reveals that over the last two years, our number of non-communicant members (almost exclusively children) has actually been shrinking. On the whole, we are still growing (this is good, as most denominational groups are declining), but only at about a 1% rate across the last 4 years (2013-2017). As the Coordinator what is your vision for MNA? MNA seeks to step into this challenging moment by faith, with the promises that Jesus will build his church and grow his kingdom in full view, with the power of the gospel and Holy Spirit infusing and compelling us to engage internally and externally the gospel way. MNA serves as a catalyst for the progress of the gospel throughout the United States and Canada. We are stewards of the gospel of Jesus through encouraging and equipping movements of church planting; by promoting gospel renewal in existing congregations, and in creating avenues for missional partnership and engagement in and beyond the local church, through ministries like Disaster Response, Chaplain Ministries, Metanoia Prison Ministries, Second Career Ministries, Engaging Disabilities, and others. In all these spaces, key for us are the great dynamics of the gospel — incarnation, crucifixion, and resurrection. What’s one way you’ve seen MNA help build God’s kingdom? What’s one of the most encouraging things you’ve seen in your role? In this very challenging moment, the Lord is totally at work in and through MNA! I love how people come out of the woodwork to give to needs and share the love of Christ in our disaster response efforts (Arklie Hooten and all our staff in this area are amazing!). I love that we are planting different kinds of churches, with different kinds of leaders, targeting different kinds of neighborhoods than we used to. We are way more diverse and we running towards rather than away from hard settings. I love that our existing churches are finding renewal as they ask how to newly engage their changing neighborhoods in fresh ways, through evangelism and deeds of justice and mercy, but always with the preaching of the Word, prayer, and the sacraments at the center of church life. I love that we are seeing people come to Jesus and grow in his grace. This job involves A LOT OF TRAVEL! While I have enjoyed it, seeing what Jesus is up to all over the place as we seek to be catalysts for his gospel, when vacation times come now, I love stay-cationing! I want our children and grandchildren to come see Fran and me. I like to sit on my back patio and read, walk my dog around the neighborhood, maybe get a little exercise in down at the YMCA. We love our home and community in Athens, GA, with the beautiful grace-filled space and connections God is giving us there.